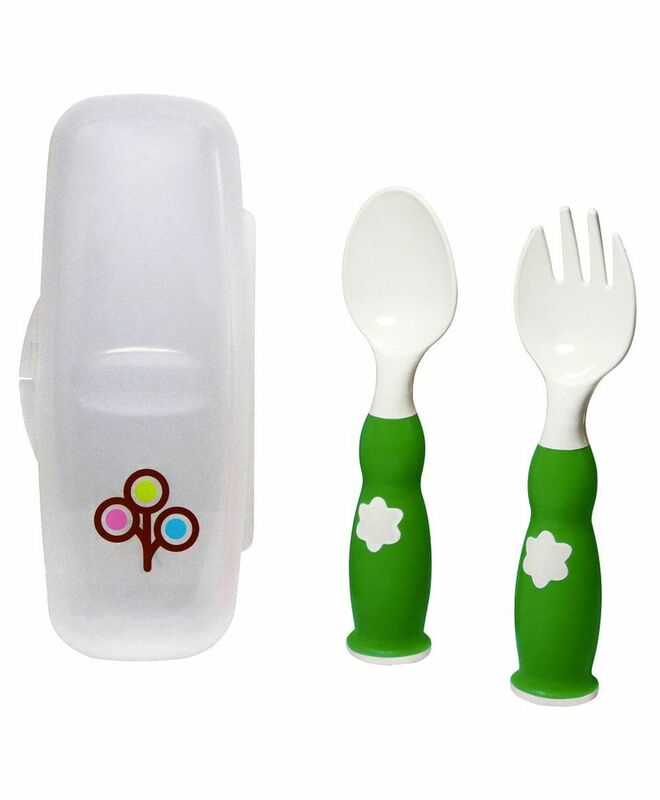 Easy-grip handles and a wide bowl to easily scoop up food, fork & spoon offers an easy way to feed your baby or let them learn to feed themselves. Includes a travel case to take fork & spoon with you for meals on the go. Includes travel case for munching on the go!